A few years ago, the sports business was in a bit of a slump. With the rise of ultra-high definition television and more affordable surround-sound systems, fans increasingly opted to watch teams play from home. Others used apps to catch highlights or games on the go. But organizations have since bounced back, creating experiences inside and outside of the arena that are filling seats and attracting private capital. “One of the things team owners in the U.S. have done very well is to figure out how best to monetize these assets,” says Charles Baker, co-chair of O’Melveny & Myers’ Sports Industry group. Beyond simply owning a team, leagues, owners and private investors can all get a piece of the revenue streams that go along with sports teams. 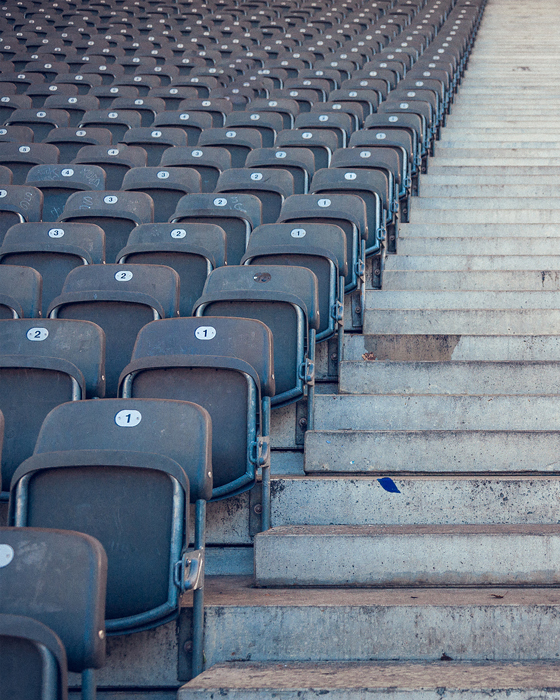 Premium stadium seating is among the ways teams can drive revenue. Suites have long been a source for corporate sponsorships and building bridges with wealthy fans who later become investors on other projects or, in some cases, team owners. “While leagues generally impose revenue-sharing on national media and league-wide sponsorships, licensing and merchandise, teams generally keep the suite revenues, as well as ancillary revenue opportunities around the stadium. Those opportunities can also draw specific investor interest,” Baker says. Baker adds that fans want to be able to watch their teams from wherever they are. Airing of American sporting events abroad has increased, and there are now more options for viewing global soccer matches and other international sports stateside. For the Jacksonville Jaguars, going global has helped the Florida football team expand its fan base and attract new sponsorship opportunities, according to Mike DeMartino, the Jaguars’ vice president of corporate sponsorships. The Jaguars’ owner, Shahid Khan, set out to grow the team’s brand after he agreed to buy the franchise in 2011. Khan and the team’s leadership identified an opportunity to expand its audience in London, where NFL teams were beginning to play games. Market research showed the Jaguars were among the least-recognized franchises in the U.K. market. To improve their visibility, they began working out at London’s Wembley Stadium, where they play one game every season. The strategy worked. Six seasons later, analytics show the Jaguars as a top-10 NFL brand in London, according to DeMartino. For teams that operate in a mid-tier media market, going along with the NFL’s global media distribution plan isn’t enough to remain relevant. The Jaguars are thinking through new ways to attract local customers and investors. With support from management, the team has embarked on new initiatives, some of which have led to corporate sponsorships that bring people to the stadium even when there isn’t a game in play. In one example, DeMartino and his team worked with a local homebuilder to create a permanent model home that sits at the entrance to the stadium. Visitors can tour the house and speak with salespeople about the builder’s offerings. Inside the stadium complex is a dog park, which DeMartino and his team developed in partnership with a local pet company. Ticketholders can play with their dogs while watching the game on one of the screens installed in the park. The team is now working with a local developer to create a mixed-use corridor connecting the stadium to a nearby port area. When complete, it will include restaurants, upmarket real estate and hotels that will create an entertainment area around the stadium. For many teams, fostering a community centered around a sports complex is the way of the future. Building up these areas, especially in midsize cities, creates a draw for locals and tourists alike. In Detroit, the transition of the downtown into a sports and entertainment hub is speeding up the revival of one of America’s major cities—and attracting major acts, tourism and private capital. Tom Wilson, president and chief executive officer of Olympia Entertainment, has been at the forefront of this development. Olympia Entertainment handles business operations for the Detroit Red Wings hockey team and collaborates with the Detroit Tigers baseball team. Olympia Entertainment has been an anchor organization in the development of The District Detroit, a 50-block revitalization of the city’s downtown. The area has attracted other Detroit sports franchises, including the Pistons basketball team, and evolved into a hub that now houses several concert and theater venues alongside the city’s NHL, NBA and MLB teams. Private capital has played a significant role in the sports-driven development happening in Detroit and Jacksonville, despite challenges to investing in teams directly. Most U.S. leagues limit the number of owners a team can have and the size of their equity stakes. League rules tend to treat each limited partner in a fund as an owner, disqualifying private equity firms from buying a team—although PE executives have invested in teams on their own. But when teams start eyeing real estate, restaurant concepts, technology and media, there are plenty of opportunities for private equity funds to support those efforts. Private equity is also supporting sports innovation by financing the creation of new leagues and helping to expand sports technology as a field—an area dominated by middle-market companies. One firm, Causeway Media Partners, now owns Formula E, the electric car version of Formula One. Another private capital investor, RSE Ventures, has a stake in the Drone Racing League, which serves a brand-new sport that runs drones through complex routes. Other firms have bought into new competitions known as “cups.” Similar to well-known brands such as the Stanley Cup or America’s Cup, these emerging contests serve American soccer teams or minor league sports, which tend to have growing regional audiences outside of major markets. To capitalize on the opportunity, in 2015 Steel Sports acquired the National Youth Baseball Championships, whose games are televised on CBS Sports and streamed live on MLB.com. The firm plans to help the competition series grow through corporate sponsorships, celebrity appearances, and continued television and online coverage of games, according to its website. Sports technology is another area catching private equity’s attention. Companies in this space provide virtual training, data and analytics. Their offerings serve teams, help athletes improve, and engage fans involved with fantasy teams, which thrive on the statistical side of sports. This story originally appeared in the January/February 2019 print edition of Middle Market Growth magazine. Read the full issue in the archive. Bailey McCann is a business writer and author in New York.